I think I may go on a hike somewhere cool, like crater lake, for my 1.5 year mark. One of my favorite hikes ever! If you go take a boat tour on the lake. 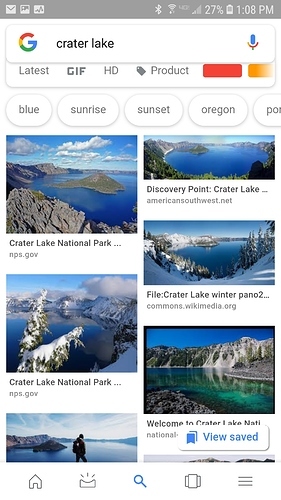 There are so many interesting things they tell you about the lake, how it formed, the folklore. The hike itself is beautiful as is the lake and Wizard Island. Amazingly enough, here I am after 40+ years of drinking. It feels pretty damn good. Never give up. Yaaaay! 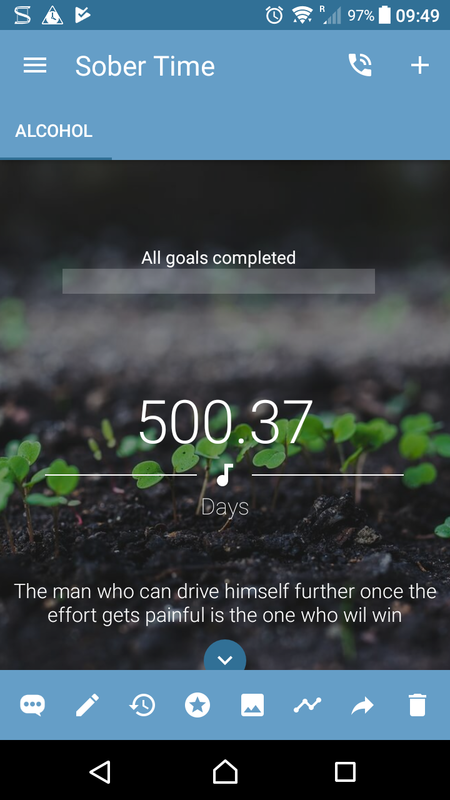 Happy 500! You are amazing. I appreciate your input here so much. Who knew @Leigh! Congrats on your 512! I always forget you are behind me. You wisdom makes it seem like you have years more sobriety than I do. 18 months is around the corner! Thanks girl, always glad to see your stats, because it reminds me that I am right there behind you and I consider you one of my sober mentors. 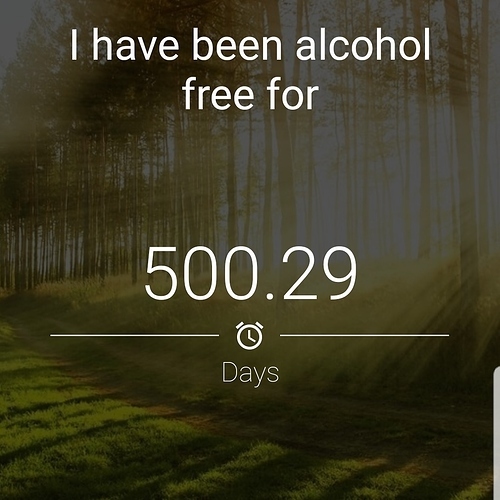 You have helped me so much. Oh geez, what a scary thought… Thank you though. It is very flattering. Welcome to the club @Forged!!! Guess I’m in the club then. 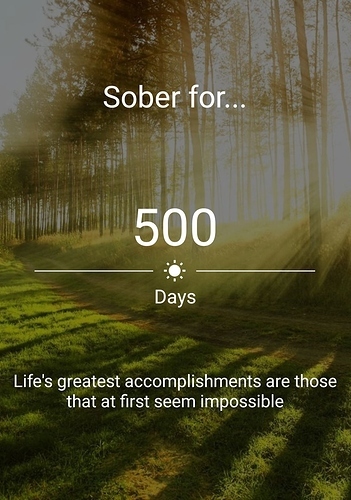 So happy to be here, had a relapse dream where I was drinking Guinness and Harp Lager which seems to happen around these milestones but they give me strength now rather than mess with my head. I remember thinking in the dream, these taste disgusting now, why am I doing this. I think it’s because I was with friends who were drinking at the weekend. Super huge congratulations!! That is quite a feat!! Good work man! Lots of daily reprieves right there. I’m halfway there, and a million miles from where I was. There just aren’t enough words for how much I love this - or you!